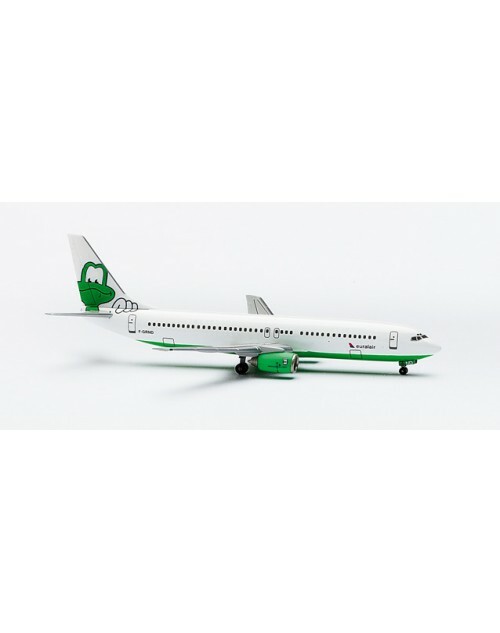 1/400 scale diecast Herpa Wings Euralair Boeing 737-85F with Green Monster tail. Item # 560436. Registration: F-GRND. Released in August 2001. Dimensions: Length: 3 7/8 inches (9.9 cms), Wing span: 3 7/16 inches (8.7 cms).